Flowers are a must have! I was brought up by a wonderful Mother that not only loved beautiful antique furniture but was also an amazing gardener with a love of flowers. We always had beautiful bunches of flowers in the house. I believe a room is unfinished without flowers. If they are scented not only does it add beauty it adds absolute pleasure every time you inhale there wonderful scent. We don’t all have a beautiful garden and purchasing flowers every week can be expensive and good quality flowers are not always available. It can also be very disappointing when they only last a few days. Man made flowers can look amazing if you can find the right ones and display them well. They can look real, last for years and are mess free. In these photos I have shown you how beautiful they can be. 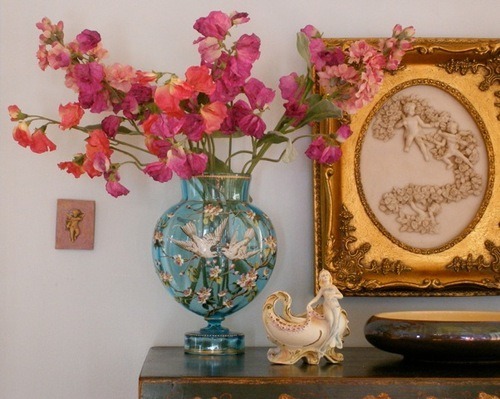 Having the right vase also is an important part of the picture. When displaying man made flowers you can also bend them and shape them into the form you want to make them look great. 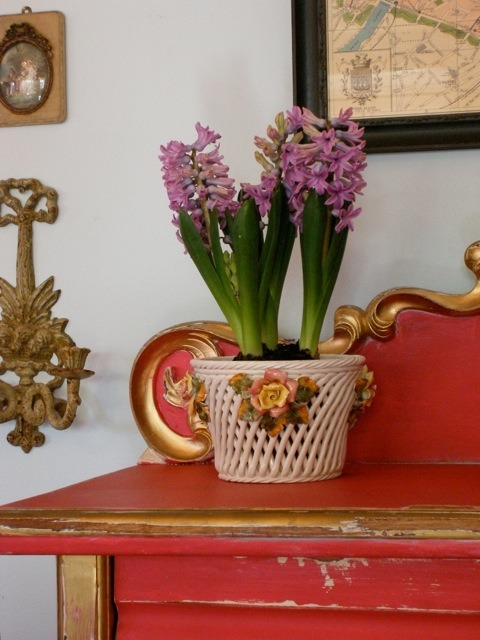 Alternatively if you want something alive that lasts an indoor plant such as Hyacinths are a wonderful choice. They look pretty and smell divine. Don’t settle for second best when choosing your flowers. Spending a little more is worth it, remember they are going to last and you need to be happy with how they look. Kings Plant Barn have a great selection to choose from. 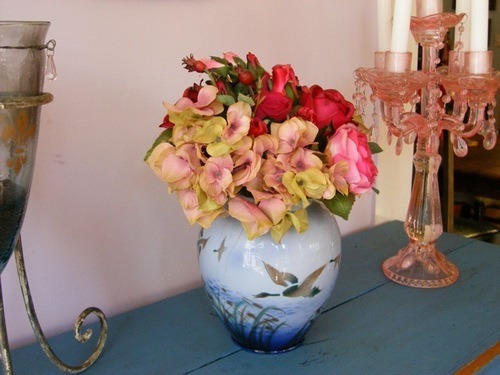 The lovely bunch in my duck vase only cost $29.00 NZD which is about the same price as real flowers. I was brought up by a wonderful Mother that not only loved beautiful antique furniture but was also an amazing gardner with a love of flowers. We always had beautiful bunches of flowers in the house. Having the right vase also is an important part of the picture. When displaying man made flowers you can also bend them and shape them into the form you want to make them look great. A selection of sweet peas and stock from Kings Plant Barn. These look very real. A pretty beautifully scented Hyacinths. A posey from Kings Plant Barn. Newer PostDon’t let the TV be your furniture centre piece!